Sometimes the simplest recipes are the best kinda recipes. I had forgotten about Tuna Salad for years as my association with it was this thick salad that had a higher ratio of Mayonaise to Tuna as a kid that I did not like to eat. 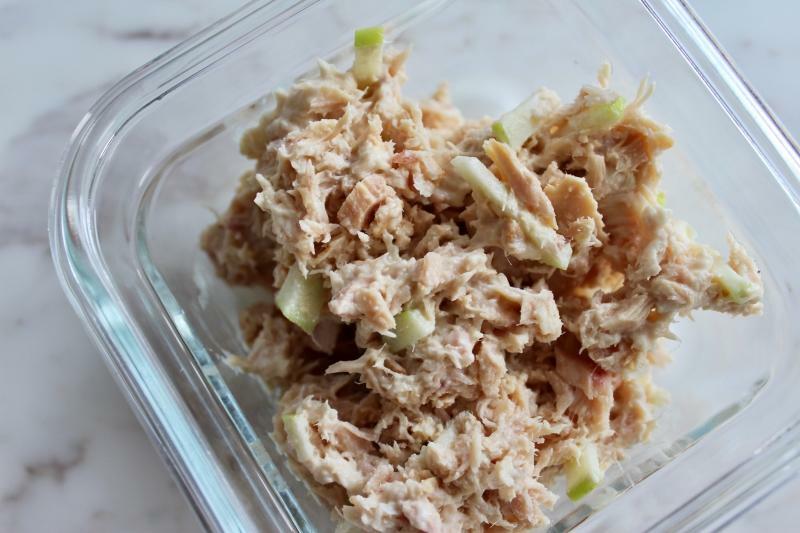 However, working with some food insecurity groups I rediscovered canned Tuna as an affordable non-perishable protein option and began playing around ways to “healthify it”. RCT tuna uses only young, smaller albacore that have proven to be amongst the lowest mercury in the world. Next for me was the Mayonnaise. 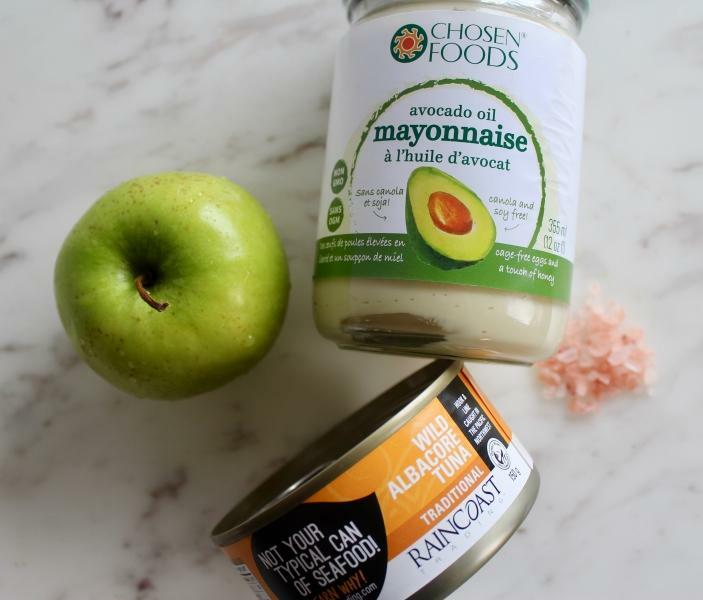 I wanted a healthy fat, so I choose to swap out the traditional canola oil based mayo with an avocado mayonnaise which adds an extra creamy taste, not too mention additional health benefits for our brain health. A pinch of good quality Pink Himalayan Sea Salt provides electrolyte balance, Boosts your mineral intake with regular use. Contains minerals like potassium and magnesium that help you get the most out of the sodium your body needs while countering the negative effects of sodium. 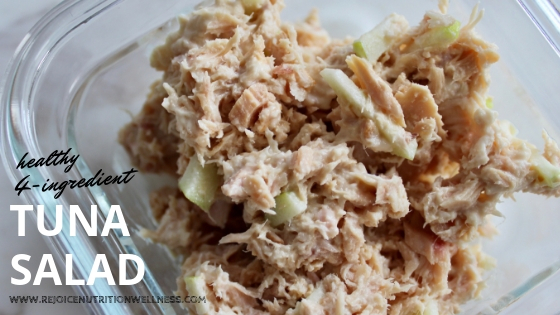 Finally, it’s nice to add a little crunch to your Tuna Salad. In this recipe, I like a small green apple. 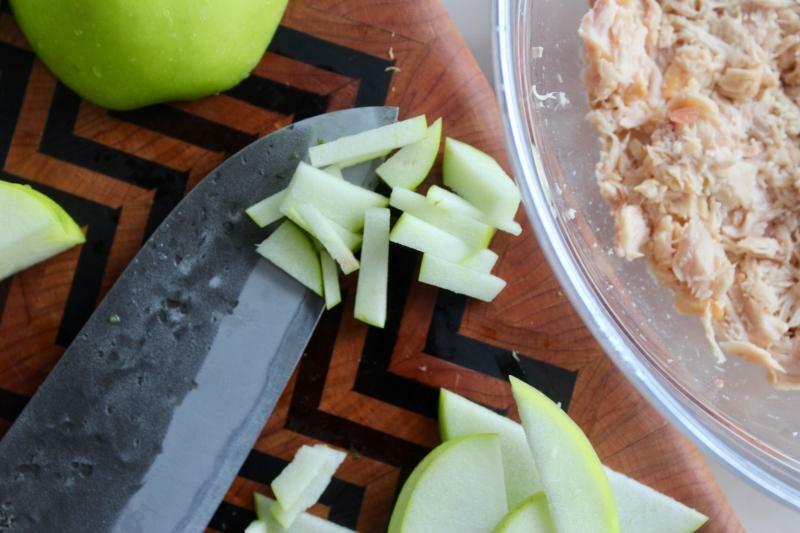 It adds a bit of sweetness, additional pectin fiber, and Vitamin C. If you are following a Keto or low carb diet, you can swap the green apple for celery or pickles for a nice crunch. I like to double the recipe and divide them into small containers for a quick and easy protein snack to go. I also like to double the batch for meal prep and use the salad in a wrap or on top of a bed of microgreens or lettuce for a quick lunch salad. 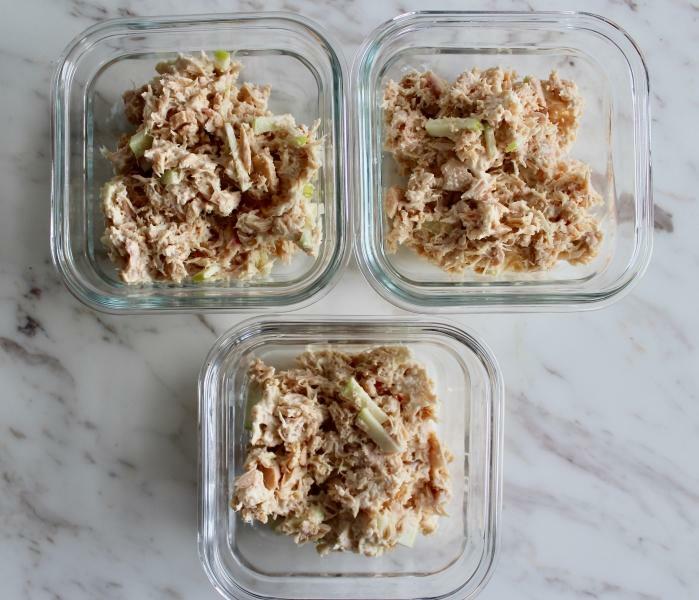 This Tuna salad is versitile, simple, and an affordable protein option. This recipe is simple and delicious. 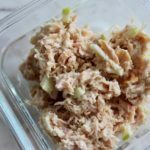 A healthy spin on a traditional tuna salad that is great on its own as a high protein snack, or can be used in a wrap or salad for lunch prep. Mix all the above ingredients in a bowl and enjoy. 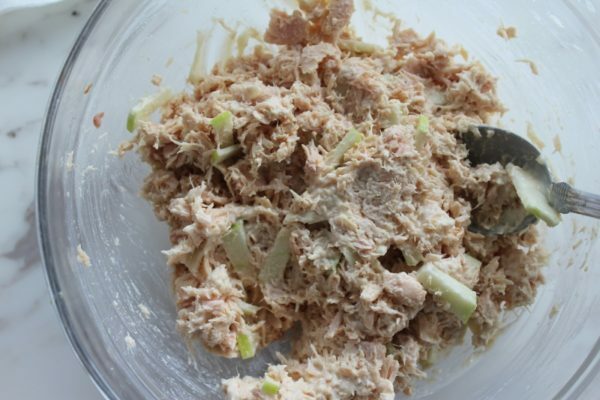 Tuna Salad will keep well in the fridge in a sealed container for 3-5 days.